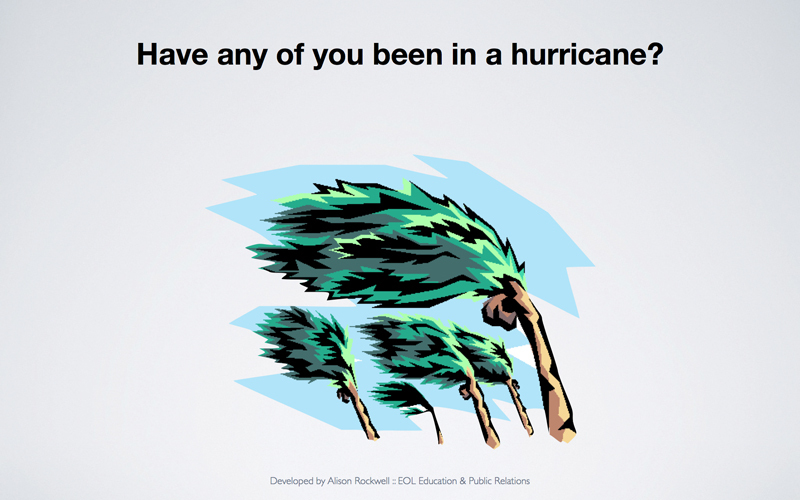 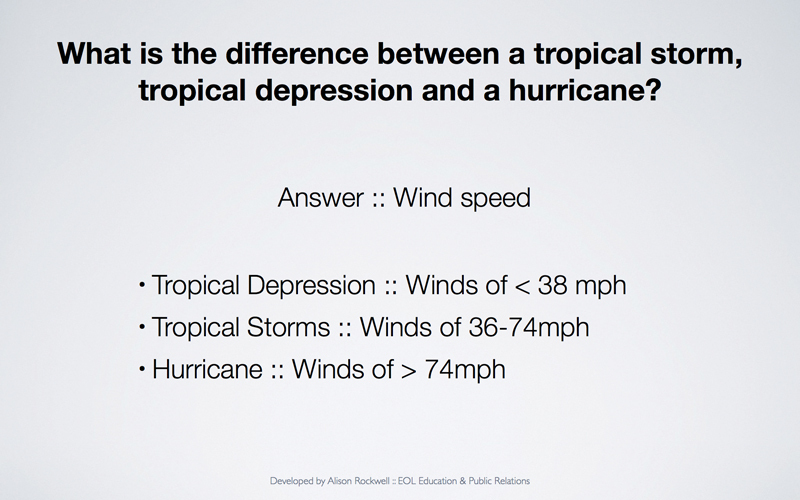 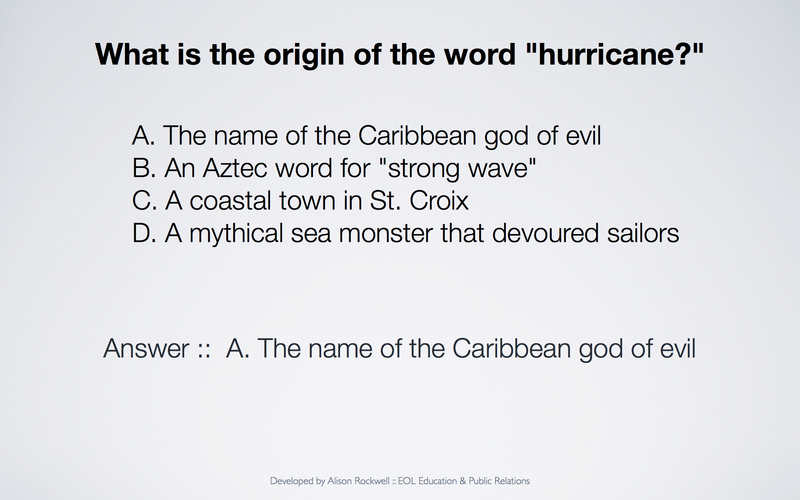 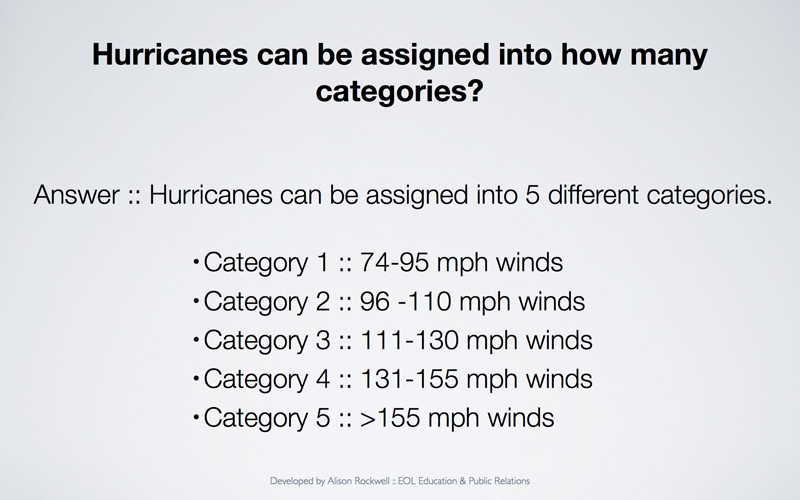 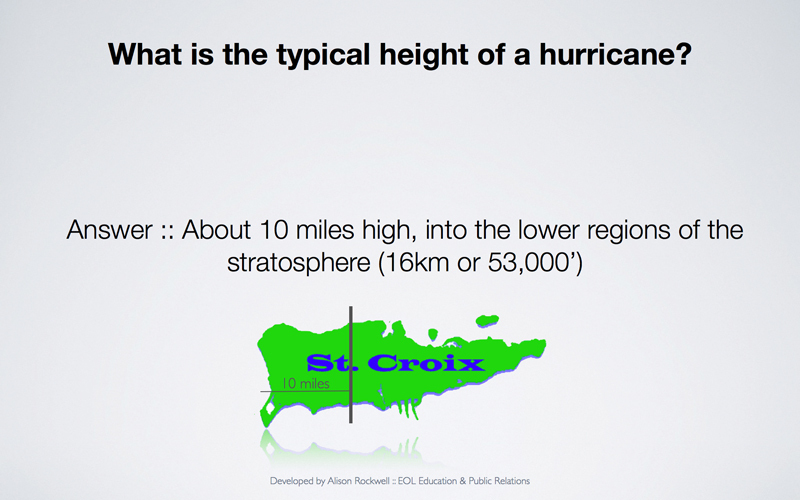 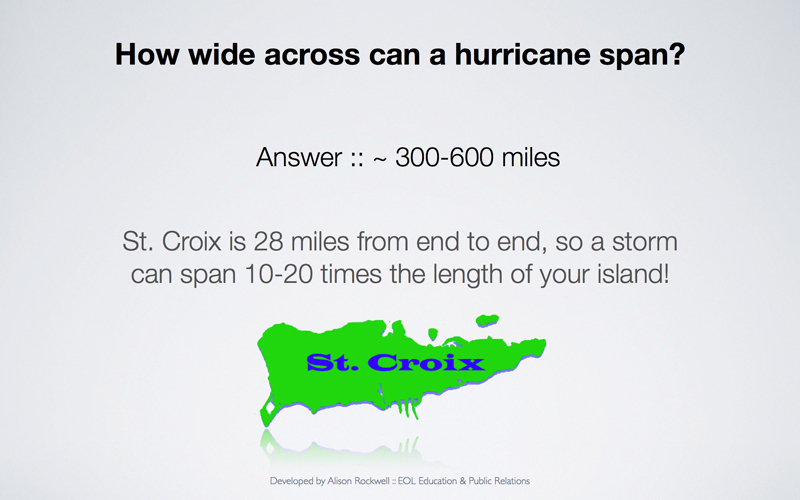 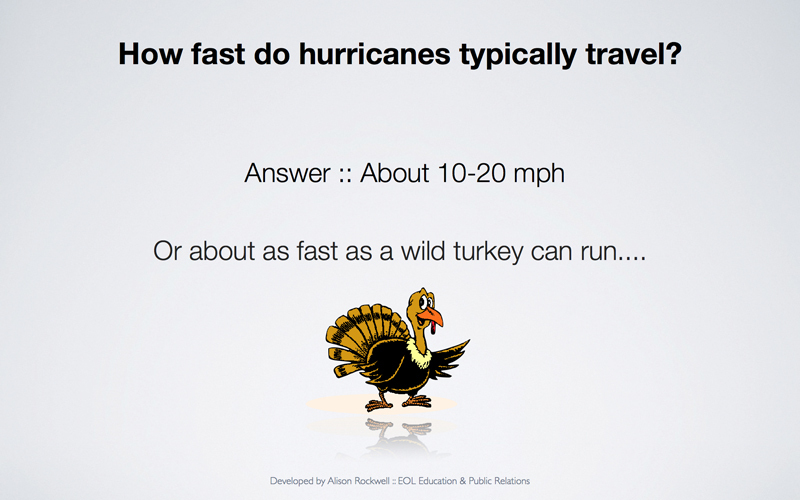 How much do you know about hurricanes? 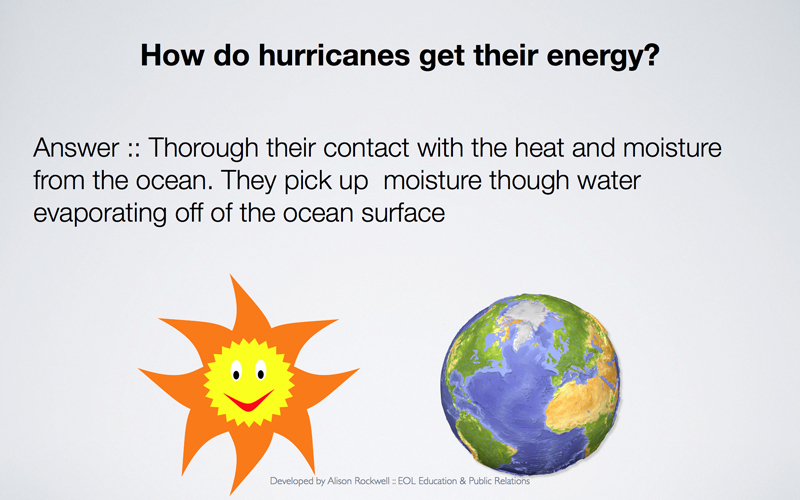 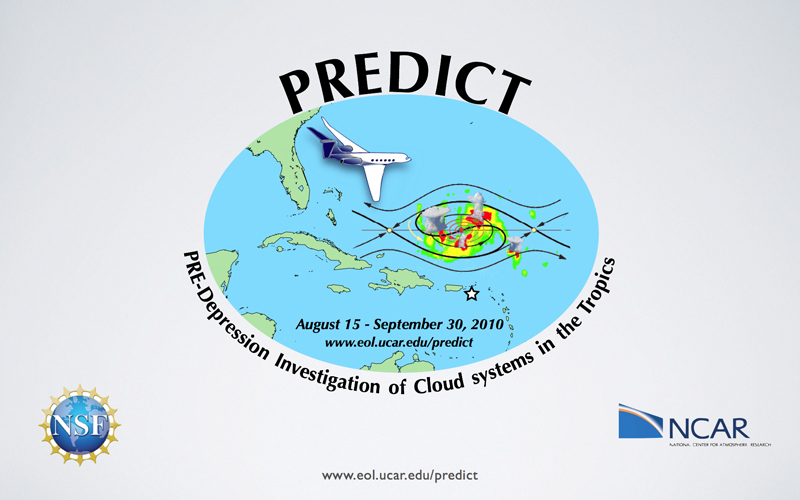 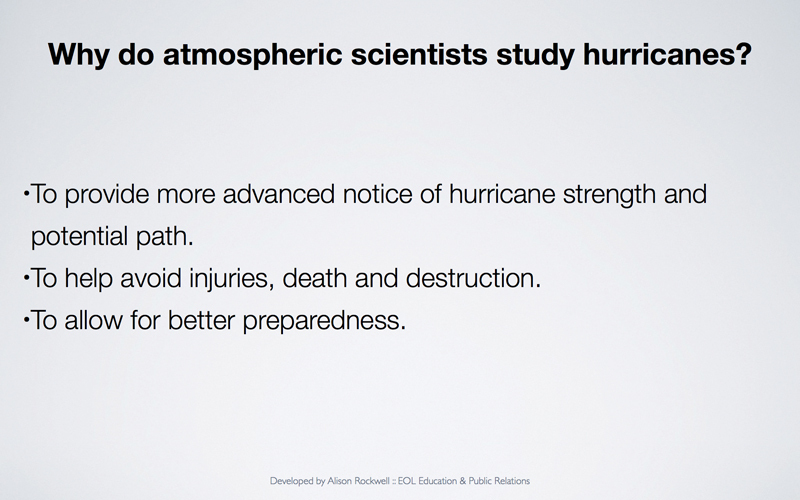 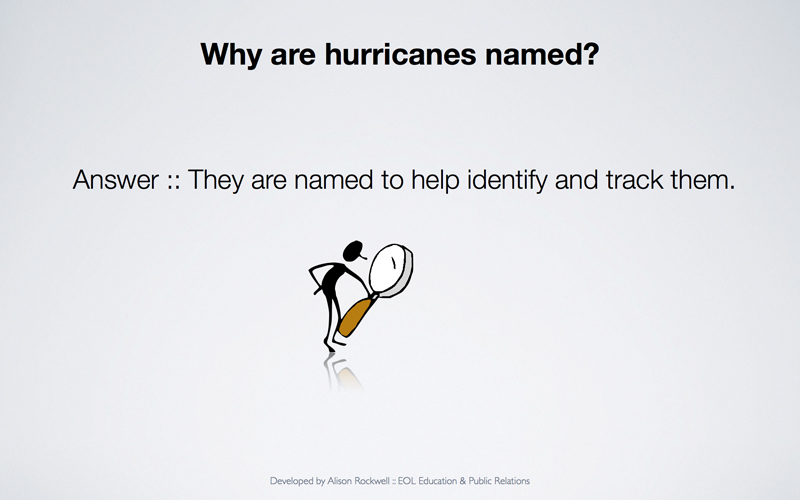 Engage your students with a brief "pre-test" about hurricanes and get them excited to learn more. 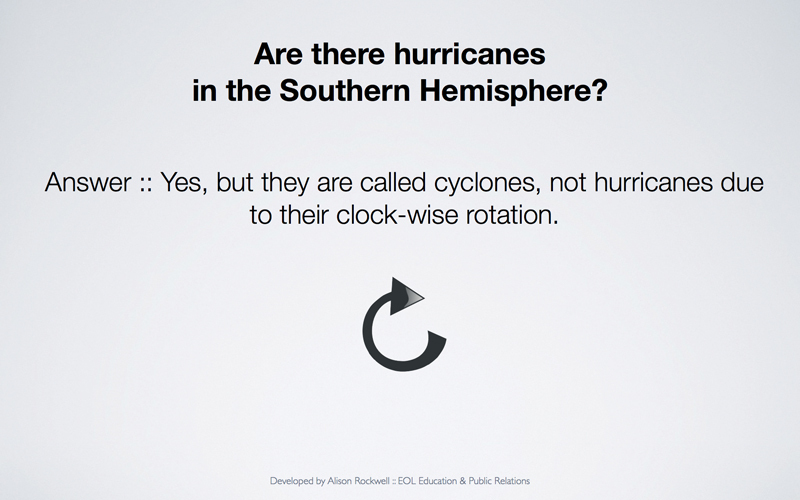 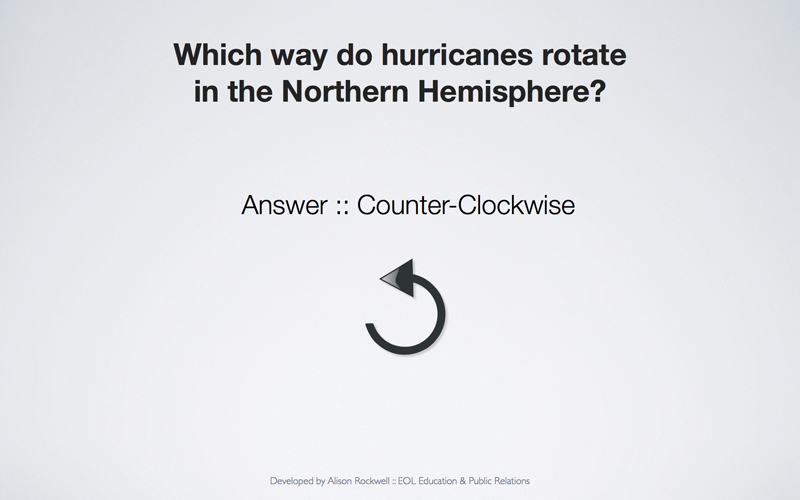 The following slides cover some of the basic facts about hurricanes and open the doors to discover why some of these phenomena happen the way they do, like tropical storms rotating counter-clockwise in the Northern hemisphere and clockwise in the Southern hemisphere.